Baylor returns home after beating UTSA to take on the 2-0 Duke Blue Devils! 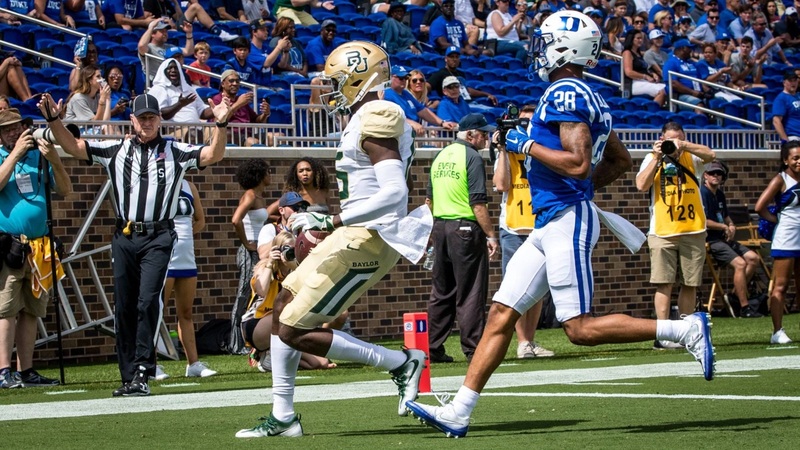 What does Duke try to do schematically and what does Baylor need to do to get their third win and go 2-0 on their 2018 payback tour? Duke is led by coach David Cutcliffe who has tutored many impressive Quarterbacks such as Peyton Manning, Eli Manning, Erik Ainge, Heath Schuler, and others over a very illustrious career. He led Ole Miss to a share of the SEC West title in 2003 and led Duke to the ACC Coastal title in 2013.